Create your own Epson Stylus CX3810 inkjet pack / bundle with our flexible quantity discount pricing. Mix and match products so you are only purchasing what you need, but also maximizing your savings. Remanufactured Cyan Ink Cartridge with 450 page yield. 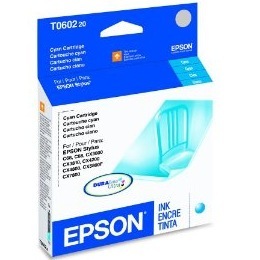 Equivalent to Epson part number(s): T060220, T0602. 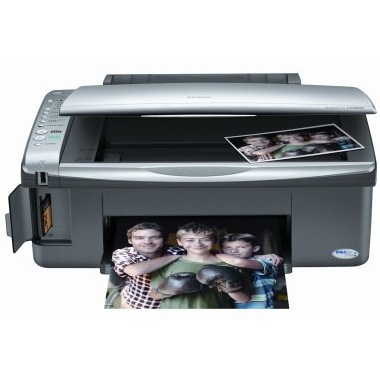 Fits the following model(s): Epson CX3810. Remanufactured Magenta Ink Cartridge with 450 page yield. Equivalent to Epson part number(s): T060320, T0603. 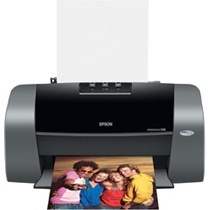 Fits the following model(s): Epson CX3810. Remanufactured Yellow Ink Cartridge with 450 page yield. Equivalent to Epson part number(s): T060420, T0604. 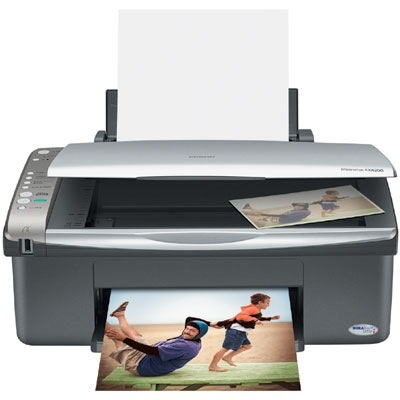 Fits the following model(s): Epson CX3810. Remanufactured Black Ink Cartridge with 450 page yield. 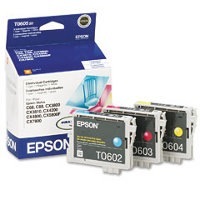 Equivalent to Epson part number(s): T060120, T0601. 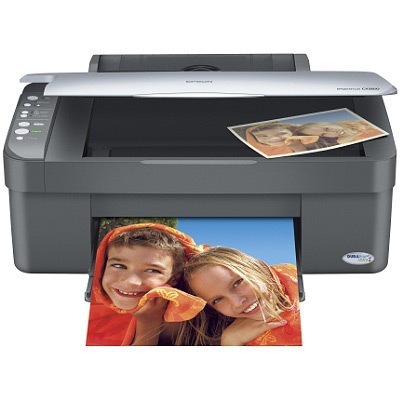 Fits the following model(s): Epson CX3810. Buy our high quality compatible ink for Epson Stylus CX3810 with confidence. Join thousands of happy customers who have found our compatible products are equivalent in page yield and print quality. For our compatible products, we offer a 100% Satisfaction Guarantee allowing you to return products within 6 months if you are unsatisfied. 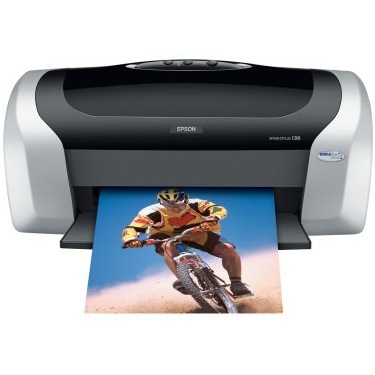 The Epson Stylus CX3810 is a multipurpose solution for inexpensive printing, scanning and copying in a home. The inkjet unit is relatively slow and intended for light-duty personal use, with a maximum speed of only 18 pages per minute for monochrome projects and 9 pages per minute for color. The bulk of its design follows suit, with limited versatility and primitive features that feel outdated and overshadow attractive elements like its inexpensive Stylus CX3810 printer ink. The unit has a light weight of 18 pounds and a size of approximately 16x13x6 inches that make it compact enough for desktop use. The CX3810's simple build is constricted by its limited connectivity, with no option for networking or wireless printing, but only a single USB port for connecting to a computer. The front panel includes basic shortcuts for monochrome and color copying and an alert LED for low Epson CX3810 printer ink, but no LCD display for previewing documents. Another feature this unit lacks is an automatic document feeder to support large scan or copy jobs. The device's media handling is limited, including a single 100-sheet input tray that can support media like envelopes, and specialty glossy and luster photo paper. 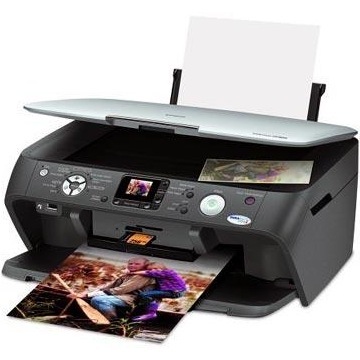 Additional photo printing support is provided with included software like ArcSoft PhotoImpression and a connection to Epson's Photo Sharing site. Using color management like photo enhance and color controls, as well as its DURABrite Ultra Stylus CX3810 ink, the unit can provide homes with drugstore-quality photos that print with a resolution of up to 5760x1440 dpi. The machine uses individual black, cyan, magenta and yellow Epson CX3810 ink cartridges that can be replaced separately as they expire. The Epson CX3810 ink cartridges last for up to 450 pages each, and users can keep costs low by purchasing remanufactured replacements. 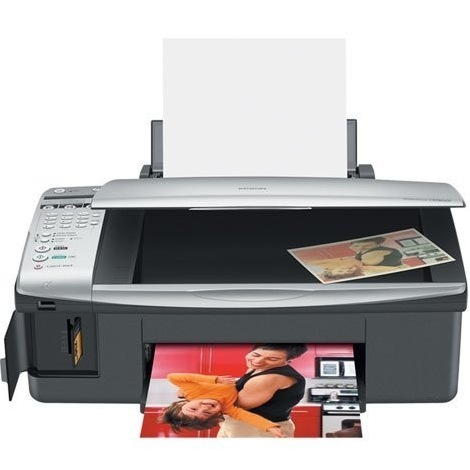 Considering all that the CX3810 leaves out of its design, buyers can easily find other multifunction home printers with more capabilities and better connectivity. 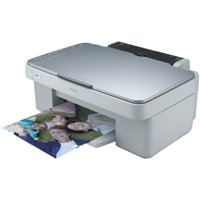 While it does have decent photo printing features and can help keep running costs low, this inkjet printer is not high on the list for best in class.